Ring of Elysium is a third-person shooter that enables us to take part in battle royale matches, in which a hundred players land on an empty island and fight with each other until there is only a single player left standing. 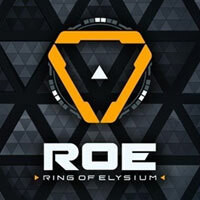 Ring of Elysium is an online battle royale developed by Aurora, an internal studio of Tencent, a Chinese developer. The action of the game takes place in near future, in a world where virtual reality is a commonly used technology in military, medicine, and entertainment. A developing studio known as Europe has created Infinite Law – an online action game that quickly reached a status of global VR phenomenon and most popular e-sport title. The players assume the role of the game’s players, fighting in virtual reality for fame and riches. Ring of Elysium is a battle royale shooter. The action is seen from a third person perspective. At the beginning of the game, hundred players jump out of a plane onto a lone island. The game lasts until there is a single player standing on the battlefield. During the game, the players have to scavenge for weapons, armor and vehicles (cars, boats, and helicopters). Moreover, after a brief period of time, the habitable area begins to decrease, with every player standing outside of the game’s boundaries dies. The game enables us to destroy objects and buildings, which further impacts the gameplay, as the players can e.g. destroy covers or throw heavy objects onto the opponents. Ring of Elysium also offers a dynamic weather system. Ring of Elysium offers high-quality three dimensional graphics powered by QuickSilverX, an engine developed by Aurora. This technology is also responsible for realistic physics. Expectations: 8.3 / 10 calculated out of 162 players' votes.